THE return to regular action of ‘Merchant Navy’ No. 35028 Clan Line in July sees the popular main line performer back where it belongs. However, its comeback also marks the end of an era for Crewe’s LNWR Heritage, as the Bulleid Pacific represents the last full contract overhaul that the company will carry out. The decision to withdraw from contract work has not been an easy one for the Royal Scot Locomotive & General Trust, which acquired the business from Pete Waterman in 2014. The move has been brought about largely because of a difficulty in retaining skilled boilersmiths, which was one of the reasons why the company elected not to carry out the overhaul of BR ‘8P’ No. 71000 Duke of Gloucester in 2015, and its subsequent move to Tyseley last year. “We took the decision some time ago that the Clan Line overhaul would be the last outside contract overhaul. 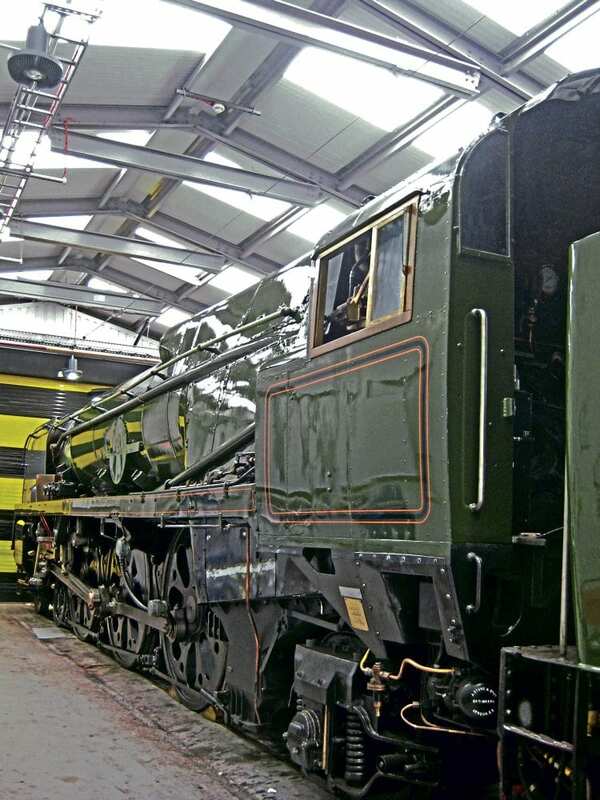 However we have endeavoured to keep the boiler shop work open for outside customers but have found it increasingly difficult to do so,” trustee Peter Greenwood told The RM.